Home / Living Trusts / What Type of Living Trust Should I Have? Which is the right Trust for you and your family? One of the key goals of estate and Trust planning is to avoid federal estate taxes. Careful estate planning can eliminate a significant estate tax burden for surviving spouses and their beneficiaries. Any of the Trusts below can be useful tools in preserving an estate's assets. But which Living Trust is right for you? With all these options, it is more than prudent to work with AmeriEstate and a qualified estate planning attorney who understands how to design a plan that best fits your needs. If you are a married couple, the options are weighed carefully by your estate planning attorney both in consideration of the age of the parties, the length of the marriage, whether children are all from the marriage, or include children of previous marriages. In addition, the current value and make-up of the estate, as well as the projected future value of the estate based on the life expectancy of each individual need to be considered. With changing tax laws and exemptions, the type of Living Trust that might be created for you today may not be the same type of Trust that would have been prepared for you even 10 years ago. Fortunately, as things change, both within and outside of your control, you can change your estate plan to adapt to these changes. The type of Living Trust you need will largely been driven by tax considerations. Federal tax law provides each of us with an exemption amount that will not be subject to federal estate taxes. Not so long ago, that exemption was as low as $650,000. In 2017 that exemption, also known as the “exemption equivalent amount” or “unified credit amount,” was set at $5,490,000, and will increase annually at the rate of inflation. A married couple has the ability to double this exemption, meaning that a couple could conceivably pass up to nearly $11 Million free from federal estate taxes. As you might imagine, a very small percentage of our population today face the impact of estate taxes. Therefore, today’s planning is somewhat less focused on the estate tax and more on which type of plan best suits traditional or blended families, and the tax considerations are more focused on avoiding or minimizing capital gains taxes for surviving spouses and heirs. For example, only 10 to 15 years ago, the A/B Style Living Trust was by far the most prominent type of estate plan prepared for married couples. Today both the A/B Trust and A/B/C Trust are virtually obsolete and are only used in very specific situations. From an estate tax planning perspective, one of the most significant developments in federal estate tax law was the introduction in 2012 of the concept of “portability.” Simply put, a surviving spouse can transfer the unused exemption of a deceased spouse to themselves. The unified credit exemption used to be a “use it or lose it” proposition. Now, if you don't use it, the surviving spouse can transfer it to themselves. To do so, the surviving spouse would need to file an estate tax return for the deceased spouse and complete a section within the return formally electing portability. We strongly recommend that regardless of what style of Trust has been created for you, that upon the death of the first spouse, you contact AmeriEstate or your AmeriEstate provided estate planning attorney for counsel on this important feature. Now the surviving spouse has two Sub-Trusts to manage. Their power to modify, and access to the Survivor's Trust assets is unlimited. With the Decedent's Trust “B,” the surviving spouse can collect or spend all the income and withdraw restricted amounts of principal over their remaining lifetime. No changes or amendments to Trust B are possible thereafter. This type of Trust is now a rather inefficient way to protect the estate from federal estate taxes, but may have some benefit in protecting the future inheritance of separate children of the deceased spouse in a blended family situation. 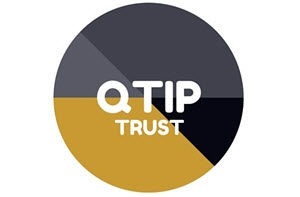 QTIP Trusts (A/B/C Trusts): This style of Trust was popular when a married couple expected the value of their combined estates to exceed two unified credit exemptions after they both passed away. With the advent of “portability,” this style of Trust is completely obsolete, and therefore not worth detailed discussion. The only way resurgence would occur in the use of this style of Trust, in our opinion, is if Congress repealed the “portability” provision and dramatically reduced the unified credit exemption from its current level. 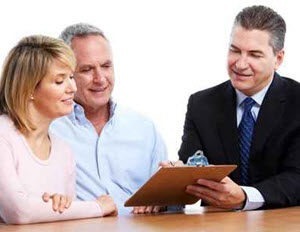 If that were to happen, you would be well advised to conduct a thorough review with your estate planning attorney. Marital Disclaimer Trusts (A-Marital Trusts): Sometimes referred to as an “Optional A/B Trust” This style of Trust has been very popular since about 2004. It provides that upon the death of the first spouse, the deceased spouse's interest in the Trust passes outright in Trust to the surviving spouse, however, reserving the right to the surviving spouse to disclaim in whole or in part any assets that would pass to him or her. If any assets are disclaimed, then the Trust is converted to an A/B Style of Trust. The only reason that a surviving spouse would typically exercise this right of disclaimer is if there was an estate tax planning benefit to do so. Again, with “portability” in play, it rarely makes sense to exercise the disclaimer right for this reason. Therefore, most often all assets stay in Trust; the surviving spouse does not need to undertake the A/B division administration, and they retain unlimited power and authority to use all Trust assets as they see fit and to change anything they wish about the Trust. This style of Trust may not always be suitable for blended families as there is always the possibility that the surviving spouse could legally disinherit the separate children of the deceased spouse. A benefit of this type of Trust is that it provides certain flexibility if Congress were to repeal “portability” and lower the unified credit shelter exemptions. 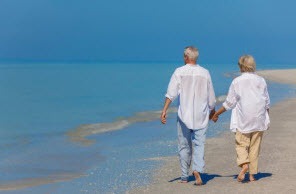 Marital Lifetime Revocable Trusts (Marital A/A Trusts): This type of Trust is the most simple and straightforward type of Revocable Living Trust for married couples in that it is revocable and amendable by both spouses during their joint lifetime and also completely revocable and amendable by a surviving spouse. This style of Living Trust is often appropriate for couples with common children and where spouse's Trust each other to use appropriate discretion in how the estate should ultimately be distributed, should either spouse survive the other. With “portability” in place, most couples will not need to worry about any federal estate tax consequences. Of course, as discussed above, if Congress were to repeal “portability” and lower the unified credit exemption, you would be well advised to conduct a thorough review with your estate planning attorney. 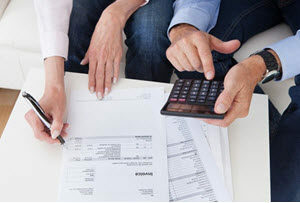 Marital Deduction Trusts (A/C Trusts): With the advent of increased unified credit exemptions (currently $5.49 million per person) and “portability,” the A/C Trust is the new gold standard to replace the A/B and A/B/C style Trusts. The typical client is one with a blended family consisting of children of previous marriages or relationships. The basic premise of this Trust is to protect the wishes of both spouses, regardless of which spouse survives the other. This Trust provides meaningful financial support and protection for a surviving spouse while also providing “protected inheritance” provisions for intended heirs of each spouse. Sometimes there can be concerns that a surviving spouse could remarry and decide or be persuaded to leave some or all of the estate to a future spouse, or their own children, at the exclusion of the separate children of the first spouse to die. With the A/C Trust, you can thoughtfully provide for the financial needs of a surviving spouse as well as leave a legacy to important heirs of the first spouse to die. Similar to the A/B Trust, upon the death of the first spouse, the Trust must be administratively divided. 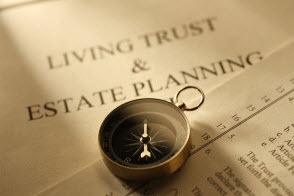 Asset inventories and values take place to determine how the Trust assets will be divided, or “allocated” between the Survivors Trust “A” and Decedent’s Marital Deduction Trust “C.” Typically any separate property of the deceased spouse plus half of the common marital Trust assets will be allocated to Trust “C” and the balance will be allocated to Trust “A.” The unified credit exemption is not used at this time and is therefore not limited in how much it can hold. Instead, assets allocated to Trust “C” are designed to qualified for the unlimited marital deduction. The “C” Trust is an irrevocable Trust. When the surviving Spouse dies, Trust “C” must be distributed to the heirs named in the Trust as constituted when the first spouse dies. If you die first, this serves to help protect your wishes to leave an inheritance to those you have named. Practically speaking, after the death of the first spouse, the surviving spouse can collect or spend all the income from Trust “C” to help support their accustomed lifestyle. The surviving spouse may also utilize principal from Trust “C,” but only if they are forced to deplete the resources in the Survivor's Trust “A,” and only to the extent they are necessary to maintain their reasonable and accustomed standard of living for purposes of their health, education, maintenance, and support. The use of the unlimited marital deduction associated with the “funding” to Trust “C” as well as the exercise of “portability” will not only eliminate or at the very least minimize federal estate taxes, but it will also eliminate, or significantly minimize, the impact of capital gains taxes to your heirs. This represents a significant advantage over the A/B style of Living Trust. Visit AmeriEstate to learn more.